In light of the deadly wildfires burning across large swaths of California, knowing what to do in the event of such emergencies has never been more important. But humans aren't the only ones brushing up on their preparedness skills. 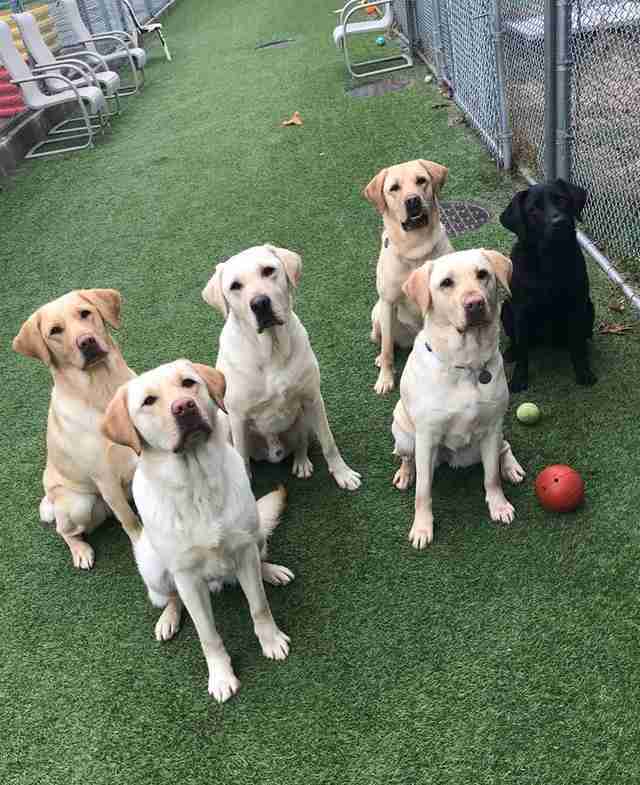 A group of adorable service dogs at one training facility was recently given a refresher course on just what to do in case disaster strikes. Guiding Eyes for the Blind is a New York-based nonprofit that specializes in shaping dogs into perfect companions for people with visual impairments. The group's training schools are host to well over 100 eager pups — and keeping them safe from harm is the upmost priority. "In the event of a fire, our staff needs to be able to clear the kennel of any dogs before fire trucks arrive (their response time as a volunteer firefighting department is approximately four minutes)," Guiding Eyes for the Blind wrote online. But pulling that off takes practice. 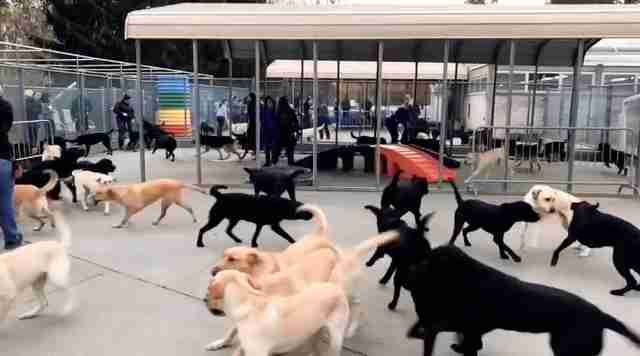 So, last week, the dogs partook in a fire drill, escaping from their kennel into a communal area out back. It was a potentially lifesaving exercise, but the dogs clearly had a blast, taking the opportunity to enjoy a little impromptu recess outside all together. Best of all, however — the pups hit their mark. "We completed the drill of clearing all 174 dogs and all staff members from the building in 3 minutes and 8 seconds," the group wrote. "Great work!"